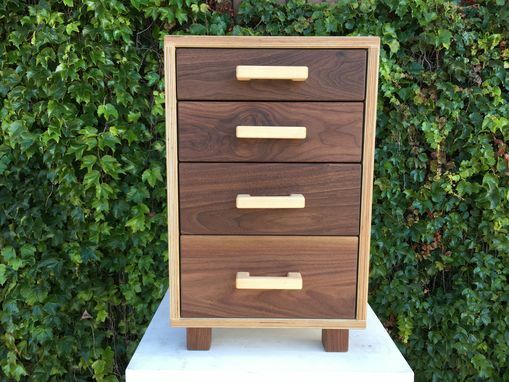 Client wanted a set of drawers for his home office, so that was the purpose of this piece. 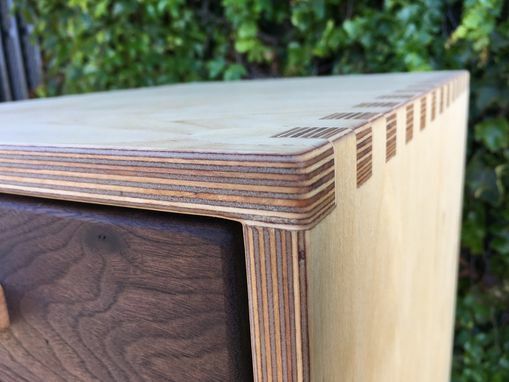 Its made out of birch plywood and walnut with solid birch drawer pulls put together with box joints, glue and screws. Sanded beyond smooth and finished with teak oil. By Custom Wood Extras, Inc.